I believe in multiple worship services. 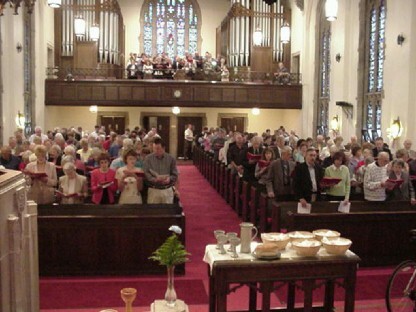 At our church, we now have five Sunday worship services. Four are on Sunday morning and include two large services in our Worship Center, with a blended style utilizing a large choir and orchestra. The two in our fellowship hall are contemporary, praise-band driven with one of those including a simulcast sermon. The one on Sunday evening I describe as “classic” Baptist worship, using a hymn book and singing familiar hymns. Our church does all this—as do many others—because we’ve found it’s the most effective way of reaching people with the gospel. A new worship service works the same way a new Sunday School class or small group does. It increases the size of the organization; it opens up opportunities for building new friendships among guests and the congregation; it brings freshness and energy to the church. New worship services also are cost-effective. You can use the same facilities numerous times instead of investing in a large building used only once or twice a week. But new worship services also have a downside. They can fragment the church fellowship, so that a congregation that once was clearly defined as a single group because of one service becomes spread out over several services and so can lose that sense of unity. 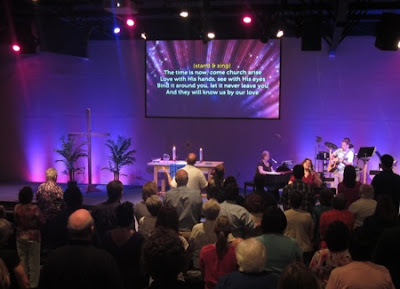 Creating new services can also create a tension in both the congregation and the worship leadership, especially if the new service includes a different style of music. Church conflicts between those who love traditional music and those who prefer contemporary music are legion. Even with the potential downside, I believe new worship services are worth the risk. There’s so much upside to them! Here are the five steps I’ve learned through experience that are necessary in order to lead a church into multiple worship services. Step One. Pay the price. Church leadership—especially the pastor—must decide if it’s prepared to pay the price. Beginning and sustaining a new service or services requires a great investment of energy, time and resources. A church shouldn’t get into it until its leadership understands the cost and is prepared to pay it. Step Two. Do your research. A successful new worship service doesn’t happen by accident. It happens when church leadership listens to the voice of the Holy Spirit and discerns both the needs and the potential of the congregation. Prayer, listening to the congregation and careful analysis of the potential risk/reward are all necessary. We began our new simulcast service only after a careful and deliberate analysis of our congregation’s preferences. That wasn’t the only reason we started the service, but it gave us crucial information as we planned. Step Three. Build momentum. Almost every successful church ministry initiative depends on momentum. 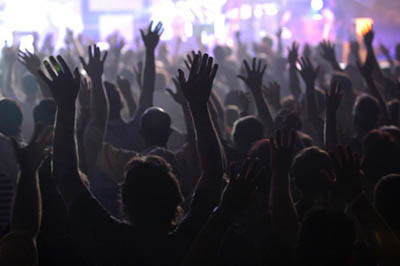 We as leaders must build interest, excitement and anticipation within the congregation before launching new ministries. A new worship service is especially dependant on this principle. Think of a series of concentric circles. The innermost circle is the key lay leadership. They have to be on board. The next circle moving outward is the regular participants in the church. The next circle is occasional attenders. The furthest circle is those who aren’t attending yet. All four groups must be communicated with in an intentional fashion—casting the vision for the service—in order to build the momentum necessary for success. Step Four. Work for unity. For a new service to build up the whole church and not hurt it, we as leaders must be intentional about how we connect the various services. Otherwise, the different groups will have a tendency toward spinning off into their own orbits. They will become separate congregations. Having the same sermon at all services is one way that happens. Another is a well-ordered and effective Sunday School ministry. We pay careful attention to our new member’s process, so that everyone is on the same page. Also, our missions ministry is a common feature to all the services. These various initiatives help keep our various services connected to a single church vision. Step Five. Don’t give up. New services take time to take root. Eighteen months after we started our first contemporary service, we hit the wall. Attendance had declined. I couldn’t find effective leadership. Morale was down. But we couldn’t give up. Shortly after that season of decline, the Lord brought us the right leader, attendance picked up, and the service began moving in a very positive direction. Two years later, that service has become two services. If I had given up during the hard times, our church would have missed the blessing we have now.